抄録：　Cable skidders are one of the most used means for logging. In overall skidding operations, winching operations mark themselves out by consuming an important amount of time, which, depending on the work conditions can reach up to 43 % of the total skidding time. A better understanding of those conditions that may act as significant influence factors when estimating time consumption is needed as a prerequisite for better work organization. Based on an extensive time study, this paper demonstrates that along with influence factors that were already identified as being significant (especially winching distance), other influence factors, such as log volume, work pattern, felling area conditions and intervention type, slope, and winching direction, may prove significant in predicting time consumption for the main work elements of winching operations, as well as for a winching cycle. All the variables mentioned presented a great significance (p < 0.05) for a winching replication, and taken apart, they presented great significances for certain work elements. Distance was the most significant independent variable for all the realized time prediction models, slope and winching direction became relevant especially in the case of manual pulling of the cable, whereas intervention type and work patterns made the difference when performances were evaluated. The amount of data within data pools may have a great importance when trying to emphasize the relevance of different variables, as demonstrated by this paper. 抄録：　The water-use efficiency (WUE) of an ecosystem--defined as the gross ecosystem production (GEP) divided by the evapotranspiration (ET)--is an important index for understanding the coupling of water and carbon and quantifying water-carbon trade-offs in forests. An open-path eddy covariance technique and a microclimate measurement system were deployed to investigate the WUE of a poplar plantation ecosystem in the Daxing District of Beijing, China, during the growing seasons in 2006, 2007, and 2008. We found that WUE values changed diurnally, peaking in early morning and showing a minimum between 2 pm and 3 pm. This pattern was regulated by photosynthetically active radiation, saturated vapor pressure deficit, and stomatal opening and closure. WUE had inter-daily variations but no substantial seasonal variation. The WUE decreased with increasing soil water content due to the higher sensitivity of ET than GEP to increased soil moisture. Under moist soil conditions (i.e., relative extractable water content >0.4), GEP was stable and WUE was generally low. These results suggest that the poplar plantation does not effectively use the available soil water for carbon uptake, and that soil moisture is lost to the atmosphere through ET. 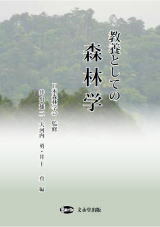 抄録：　Changes in physiognomy, species composition and structure, and dispersal mechanisms of canopy and subcanopy plant assemblages were investigated along a chronosequence of three ages: 12, 20, and 50+ years old (=old-growth), three replications in each, in an Atlantic Forest landscape in Northeastern Brazil. Our objective was to investigate whether there is floristic and structural convergence along secondary succession. There were significant differences between secondary and old-growth forests in density and basal area only for the subcanopy. Differences in density between forest ages were noted when the assemblage was analyzed per diameter and height classes. Richness of canopy species of both secondary ages differed from those of old-growth forests. Some dominant species in the canopy of secondary forests showed a significant decrease in density with increasing age, which indicates an ongoing process of floristic changes. The low level of shared species between secondary and old-growth forests supports the idea that species composition is one of the last components to recover during successional process. Zoochory was the most important dispersal guild in species percentage and number, irrespective of stand age. Although regenerating areas can take alternative pathways, our results indicate that secondary Atlantic Forest sites have a high potential for natural regeneration. This recovery is recorded as a physiognomic convergence of the canopy layer in as little as 12 years, and progressive introductions of later successional species into the plant assemblage that lead to convergence in terms of the diversity and richness of the subcanopy and of dispersal guilds just 20 years after abandonment.